← Should Jews Be Prohibited from Consuming Today’s Dairy Products? Vegans are excelling at the highest levels of a wide range of sports, from ultramarathon running (Scott Jurek) to boxing (Tim Bradley). But if one sport lies beyond the reach of the March of the Vegans, it would seem to be auto racing. Let’s face it. Stock-car racing is the sport that is most closely identified with the South, with Dixie, and with all the shredded pork, barbecued beef and fried chicken that clogs arteries down there. So The Beet-Eating Heeb is particularly happy to report that this fortress of bad-for-you, bad-for-animals, bad-for-the-planet food has been breached. Meet Leilani Munter. Vegan. Stock-car driver. Munter may not be challenging Dale Earnhardt Jr. for supremacy in the NASCAR standings. In fact, her most recent racing has been on the lower-level ARCA circuit. But she is lapping most of her competitors in the most important race of all: the race to save the planet. And she has received more media attention than most other drivers and for all the right reasons. A longtime vegetarian and relatively new vegan, Munter is a staunch advocate for animal welfare, clean energy, and other environmental causes. In fact, she is perhaps best-known for racing four months ago at the famed Daytona International Speedway in a stock car decorated with images from “The Cove”, the Academy Award-winning documentary about dolphin slaughters. 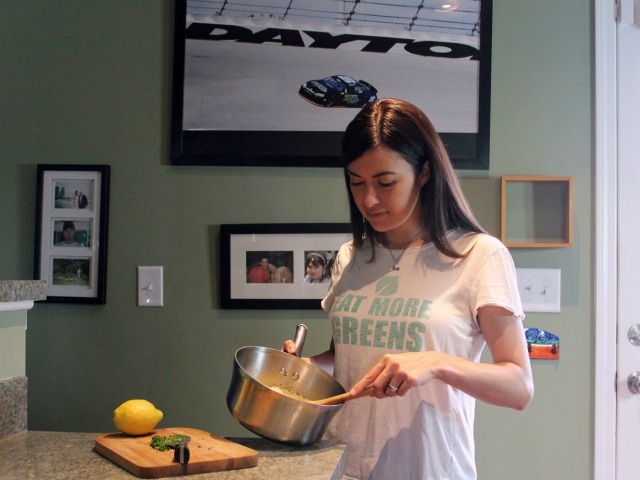 More recently, she has been working to line up sponsors for a vegan-themed race car. (Tofurkey, are you reading this?) You won’t see huge decals for Exxon or Burger King on her vehicles. When she races, Leilani offsets the carbon emissions by donating money for rainforest preservation. While she might not be Jewish (yet), she is a living, breathing, racing manifestation of the concept of tikkun olam. Certainly, more Jews, more of everyone, should aspire to live to a life of such moral integrity. BEH: You’re a trailblazer as one of the very few female race-car drivers. But you’ve also distinguished yourself by using your high-profile status as a racer to promote causes, including environmentalism and veganism. LEILANI: “I’m a messenger and I’m a race-car driver and I’m not what you would expect. People relate to me because they like race cars, so when I talk to them about veganism or clean energy or alternative fuels, there is a chance they will listen. “You cannot have a green movement, you cannot have an environmental movement and leave behind 75 million NASCAR fans. It’s wonderful to go to vegan conferences and restaurants and be around people like you. But you’re not moving the needle by talking to people who already get it. You have to talk to the people who don’t agree with you yet. “My goal is to make veganism mainstream. And you don’t get any more mainstream than NASCAR. Race car driver by day, vegan cook by night. LEILANI: “Not at first. What prompted me to become a vegetarian is that I love animals. I didn’t want to be any part of the torture and killing of them. It’s just an inhumane and cruel industry and I don’t want any part of it. BEH: As a passionate environmentalist, you do make it a point to draw the connection between animal agriculture and climate change. BEH: So The Beet-Eating Heeb has to ask, what’s it like being a vegan in the stock-car-racing world? LEILANI: “There were definitely a lot of raised eyebrows when they found out I was vegetarian. I even had NASCAR people say that the lack of meat in my diet must have stunted my growth. But I’ve had many events in my house where I’ve had meat eaters in my house and I’ve fed them all kind of meat substitutes. In some cases, they didn’t even believe it wasn’t meat. This shouldn’t surprise you: Leilani Munter is The Beet-Eating Heeb’s favorite race-car driver. Shouldn’t she be your favorite, too? 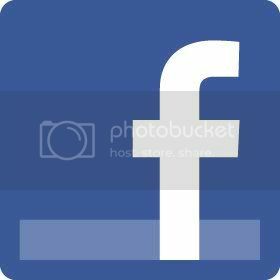 Posted on July 3, 2012, in Uncategorized and tagged Auto racing, Beet-Eating Heeb, Dale Earnhardt, Leilani Munter, Munter, Scott Jurek, vegan, Veganism. Bookmark the permalink. 4 Comments. Gee, all you have to do now is find someone who travels at 500 mph who is a vegan. Hmmm, want to start a fund to buy a plane so I can enter the Reno Air Races next year? I have a friend who is a female race car driver ( & part Jewish 😉 . Her parents were some of my closest friends until I became vegan . I still hear from her now and then . I hope Leilani will be an inspiration to her ( and many others of course ) . Wish you success in your racing and eating.